RICHMOND AP — Gov. Ralph Northam on Wednesday called for “historic” investments in a cleaner Chesapeake Bay, proposing a five-year plan that he said would represent the largest investment ever in Virginia’s water quality. Northam (D) said his plan would help farmers as well as urban and suburban communities limit runoff that pollutes the bay, boost staff at the Department of Environmental Quality and add funding for land conservation. “There is no time like the present to take action to ensure the protection of Virginia’s natural resources, and these historic investments will ensure that the Commonwealth honors its commitments to improve water quality and to protect the progress we’ve made on restoring the Chesapeake Bay,” Northam said in a statement. The measures, which Northam will formally propose Tuesday in a speech to the General Assembly’s money committees, drew praise from environmentalists, who helped bankroll his 2017 bid for governor but have been bitterly disappointed by his handling of two natural gas pipelines being built in the state. The governor has been criticized for seeming to clear the way for two major gas pipelines being built across the state, the 300-mile Mountain Valley Pipeline and the 600-mile Atlantic Coast Pipeline. Critics cry hypocrisy–Northam has put the region’s rivers, streams, and forests in the crosshairs of a massive, highly controversial proposed interstate natural gas pipeline. Designed to move natural gas from the Marcellus Shale to the mid-Atlantic and Southeast, the proposed Atlantic Coast Pipeline would fragment some of the most intact, forested landscapes in the Southeast—including the George Washington National Forest. Cutting across steep slopes and through rivers, streams, and wetlands, the pipeline would put Carolina’s waters at risk of increased sedimentation and harm to sensitive species like brook trout. Not only would the project harm our region’s environment and communities, critics say, but it is not necessary to meet the region’s demand for natural gas. The plan Northam rolled out Wednesday would increase funding for controlling agricultural runoff and other water-quality programs to $90 million a year and dedicate $50 million to a storm-water assistance fund that helps urban and suburban areas reduce pollution coming off parking lots, roads and other impervious surfaces. He presented that spending as “first installments” on a five-year plan that would bring total water-quality spending to $773 million through 2024. Northam also proposed adding $11 million for land conservation and $2.5 million to beef up staffing at the Department of Environmental Quality, which regulates and enforces the state’s environmental standards. In a 500-page environmental impact statement, the Trump administration said that on its current course, the planet will warm 7 degrees by the end of this century. A rise of 7 degrees Fahrenheit compared with preindustrial levels would be catastrophic, according to scientists. Many coral reefs would dissolve in increasingly acidic oceans. Cape Charles and much of the Eastern Shore would be underwater without costly coastal defenses. Extreme heat waves would routinely smother large parts of the globe. The draft statement, issued by the National Highway Traffic Safety Administration (NHTSA), was written to justify President Trump’s decision to freeze federal fuel efficiency standards for cars and light trucks built after 2020. Assumed within the report is that it is too late to do anything–our fate is sealed. VIRGINIA BEACH — The Virginia Aquarium and Marine Science Center and its Stranding Response Team releasedd five rehabilitated turtles back into the Atlantic Ocean. Four of the five (Wisteria, Honeysuckle, Captain, and Poppy) were Kemp’s ridley sea turtles and all four were inadvertently hooked by fishermen. Also released was Drake, a Loggerhead who was found “cold-stunned” in the Chesapeake Bay on New Year’s Day. The Kemp’s ridley is the most endangered of all sea turtle species. Efforts to save this turtle began in the 1960s and have continued to today. Since those efforts began, much has been learned about the Kemp’s ridley. Many more questions remain unanswered. The Kemp’s ridley has always been a mystery. Sailors, explorers, and fishermen had seen other kinds of sea turtles coming up to nest on beaches in various places around the world but it seemed no one had seen a Kemp’s ridley nest. Some thought it might not even be a species. They suggested it was a hybrid, an infertile offspring of two other species. But when fishermen caught some Kemp’s ridley sea turtles with eggs inside them, the riddle deepened. If these turtles were a separate species, where did they nest? In 1951, the first published record of a Kemp’s ridley nesting anywhere in the world was submitted by J.E. Werler. The turtle was seen nesting in 1948 on what would later be designated as Padre Island National Seashore. But there were thousands of Kemp’s ridley turtles out in the Gulf of Mexico at that time. Where did the majority of them nest? Finally, in the early 1960s, Dr. Henry Hidebrand from Corpus Christi, Texas, came upon some home video footage that would solve the mystery and launch an international campaign to save a species. That video footage wasn’t discovered by the scientific community until the early 1960s, when Dr. Hildebrand saw it. Scientists were amazed – nothing like it had ever been seen. Thousands of sea turtles were on the beach, digging holes and laying eggs. There were so many turtles, some even dug up the eggs of others as they laid their own. The scientists estimated that 40,000 female Kemp’s ridley sea turtles had come ashore to nest on that one day on the 16-mile stretch of beach at Rancho Nuevo (Hildebrand 1963). 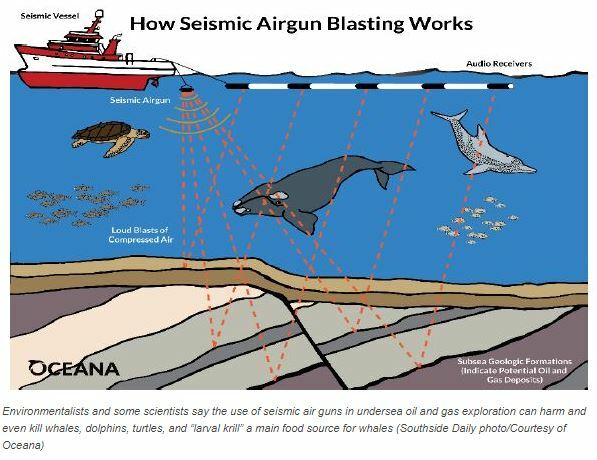 Finally, the mystery was solved and the nesting grounds of the Kemp’s ridley became known to the scientific world. But with the good news came the bad: this species was and still is in serious trouble. The 1947 film footage taken by Andreas Herrera showed the incredible mass nesting of tens of thousands of Kemp’s ridley sea turtles on the beach at Rancho Nuevo in Tamaulipas, Mexico. Unfortunately, it also showed mass destruction. Scientists reviewing the footage in the 1960s saw people taking the turtles’ eggs as they were laid and loading them by the millions into trucks. Some of the nesting females were also taken. The scientists estimated that 90% of the turtle nests were destroyed the same day they were laid. In 1966, the Mexican government took action. They passed legislation protecting the beach at Rancho Nuevo and brought in guards to stop the taking of eggs and turtles. Despite these protection efforts, the number of Kemp’s ridley nests found each year continued to drop. By 1985, only 702 nests were found worldwide the entire year. In 2011, several thousand Kemp’s ridley sea turtles came ashore to nest in one day at Rancho Nuevo in Tamaulipas, Mexico. Such mass nesting events, called arribadas, happen several times each summer. In the 1970s, the U.S. joined efforts to save this species. At the time, almost all known nesting of Kemp’s ridley sea turtles was occurring at Rancho Nuevo. Nearly all Kemp’s ridley eggs were literally in one basket! What if a hurricane, oil spill, or other disaster wiped out that beach? The species was very vulnerable. The situation was dire. In 1974, the National Park Service proposed re-establishing a nesting colony at Padre Island National Seashore (PINS). The seashore is part of the native nesting range of the Kemp’s ridley and offers long-term protection for the turtle, its nests, and its nesting habitat. Boosting nesting at PINS would help to re-establish a nesting colony at the northern end of the Kemp’s ridley historic nesting range at a protected area in the U.S. where nesting had previously occurred. It would also provide safeguards against species extinction. In 1978, agency officials from Mexico and the U.S. and conservationists agreed to attempt to re-establish a secondary nesting colony at PINS to help save the species. They formed an international, multi-agency partnership and established the Kemp’s Ridley Sea Turtle Restoration and Enhancement Program (KRREP). The National Park Service led development of an action plan for the KRREP. The goals of th eplan were to re-establish a Kemp’s ridley nesting colony at PINS and to protect nesting turtles, eggs, and hatchlings at Rancho Nuevo (Caillouet et al. 2015, Shaver and Caillouet 2015). This project was based on the theory that sea turtles imprint to their natal beach and that, as a result of this imprinting, adult females return to the beach where they hatched to lay their eggs. This theory was unproven at the time, and no project of this magnitude had been attempted before. But the Kemp’s ridley was on the verge of extinction, and bold actions were needed to save the species. Conservation efforts to save and recover the Kemp’s ridley have continued and expanded over the years since the Imprinting and Headstarting Project ended in 1988. In Texas, organized patrols to find and protect Kemp’s ridley and other sea turtle nests are now conducted not only at PINS but also in many other areas along the Texas coast. 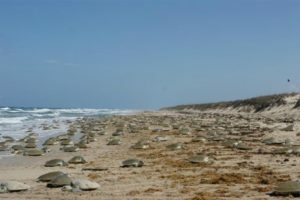 Through these programs, conducted by the National Seashore and many partners, Texas beaches are monitored each summer and any nesting sea turtles or nests found are protected. In Mexico, nest detection and protection programs that began at Rancho Nuevo have also increased and expanded to include most of the species nesting range in Mexico. DARLINGTON, Md. WBOC – WBOC reports that Rain and flooding decimated neighborhoods and towns in Northern Pennsylvania earlier this week. Now, all that water flowing down the Susquehanna River has reached the Conowingo Dam, rising fast and forcing engineers to open up six dam gates on Wednesday. Exelon, the dam’s owner, expects to open more gates as water levels peak on Thursday. Dirty water, tainted the color of chocolate milk, blasted through the gates of the Conowingo Dam, sending 207,000 cubic feet of water per second by the evening along with debris and pollution into the Chesapeake Bay, according to the U.S. Geological Survey. According to Governor Larry Hogan’s Office, several state agencies are in contact with Pennsylvania, pushing the state to cleanup any debris before reaching the dam. Hogan also says they’re watching closely and waiting for Exelon to open up to nine gates by Thursday. Just two weeks ago, up to 22 gates were opened at the Conowingo Dam to relieve itself of water and debris. It was announced that the Virginia Department of Environmental Quality will commit to water quality monitoring of key poultry operations on the Eastern Shore. Eastern Shore resident, Jay Ford, representing The Chesapeake Bay Foundation, is responsible for bringing the concerns about poultry operations to the attention fo DEQ. “There are still a lot of unanswered questions about the risks to waterways from poultry operations,” said Jay Ford, an Accomack County resident who recently joined CBF as its Virginia Voices Outreach Coordinator after many years of leadership with Eastern Shorekeeper. “Fortunately, DEQ is taking a very positive step forward. This monitoring program will verify that these new poultry permits effectively control pollution. We are grateful to DEQ Director David Paylor, Virginia Secretary of Natural Resources Matthew Strickler and others in the Administration of Governor Ralph Northam for this monitoring commitment,” Ford said. The effort to better track movement of dolphins through the bay and its tributaries began last June, and since then, over 900 sightings have been reported. To report a dolphin sighting, go to the Dolphin Watch website. Scientists say dolphins used to visit the bay more frequently. Published reports of sightings date back into the 1800s. But as pollution degraded the Chesapeake’s water quality through the 20th century, they became more rare. Researchers are exploring whether more dolphins are swimming up the bay, possibly invited by clearer waters, abundant submerged grasses and rebounding fisheries. Through a website they set up to collect sighting reports — and a smartphone app that will launch soon — the researchers are learning that the beloved creatures venture miles upstream in rivers such as the York and Potomac, and as far north as Annapolis and the Bay Bridge.